Today marks the start of Home Care Month. This is the first of several blogs post reflecting on the current issues impacting the industry. Every day in this country, 10,000 baby boomers turns 65. This new generation of “elders” are unlike any other to come before it. Economists suggest that these baby boomers control 70% of all US disposable income, yet a large percentage are not well prepared financially for retirement, with savings far below what they are projected to need to “sustain their quality of life.” Thanks to medical advances, these aging boomers should have a longer life expectancy than even the generation before them. They are more educated. They are accustomed to speaking up about their health care needs and they are technologically savvy. And without a doubt, they will be looking for a long-term care delivery system that meets their needs, allows them to age in place with some degree of financial security and with little dependence on their children (whom many boomers are still supporting!). In short, they will want a high-quality, cost-effective, technologically-advanced home care delivery system. As we celebrate home health care month in Massachusetts and around the country, let’s look at some of what we need to do to make sure we have that in place. This chart from a recent report from global health care consulting firm, Mercer, depicts what many have written about: There is a huge gap between the availability of a home health aide/personal care workforce and patient need. Massachusetts is among the states expected to feel it the most, and the graphic speaks to how much has to be done in this area. Home health agencies – dependent on heavily regulated Medicare and Medicaid funding for most of their services – are increasingly unable to offer wage and benefit packages that allow them to compete within the health-care or service-delivery sectors. Added business costs such as the state’s EMAC assessment and mandated paid sick leave make it harder for private home care companies to keep costs affordable and attract workers. Already, many report more demand than they have the workforce to meet. Investing now in the creation of a meaningful, long-term care workforce training, with nurse and aide training funds. The potential for technological change to impact the labor requirements for home health/direct care workers is considerable. As low cost technologically-based products become available it is likely that these emerging products and services will serve as both substitutes for and complements to home health/direct care occupations. More modeling of partnerships between private home care companies and technology vendors to test the market for, and price, care extender technologies as part of a private home care plan of care. Home Care Month is a time to honor the contributions of home health workers who are the lifeline to health care for some many home-bound elders, for isolated and struggling families and for the disabled. Let’s also use this opportunity to listen to and respond to their needs. The Massachusetts Legislature’s Joint Committee on Elder Affairs held a public hearing on July 31, 2017. Several of the bills heard are of interest to home care. If you have any questions, or would like any further information about these legislative proposals, do not hesitate to reach out to Jake Krilovich at jkrilovich@thinkhomecare.org. What the future holds for the industry in the post-Baby Boom years. You may directly download the podcast here (Length: 27’54”; Size: 13 MB). Host: Patricia Kelleher, Executive Director of the Home Care Alliance of Massachusetts. Guest: As the co-founder and CEO of HouseWorks, Andrea Cohen’s vision crystalized over 20 years ago when she took care of both of her parents. HouseWorks’s fundamental innovation has been an entrepreneurial approach to service delivery that returns a sense of control to adult children and their parents. Secora Care. A secure, passive, and private remote-monitoring platform. The Conversation Project. Talking about elders’ wishes for end-of-life care. Laurie Orlov’s Tech-Enabled Home Care Report. While demand for home based health and supportive care continues to grow in Massachusetts, the home care industry struggles to recruit and retain essential front line caregivers. New data collected last fall through a survey of home care agencies that contract with the state’s Aging Service Access Points (ASAPs) found that on average 25% of a home care agency’s direct care workforce changes every three months leading to intense instability within the organization. Please click the link below to write or call your Representatives urging them to sign onto Representative Aaron Vega’s amendment #148 which begins to address the underlying causes for the growing home care worker shortage in Massachusetts and takes steps to assure that their will be workers to meet the demand. Massachusetts has been successful at rebalancing the long-term care system, and appropriately diverting consumers from nursing facilities to community care. Between FY12 and FY16, MassHealth has experienced a -5.8% reduction in annual bed days. The movement of care from nursing homes to the community has not been been met with the necessary reinvestments in workforce to ensure the workforce is available to support consumers in need of services. 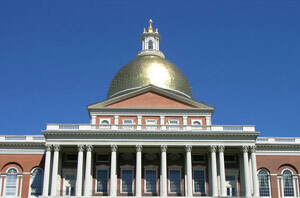 MassHealth has not raised the rate of reimbursement for a home health aide in almost a decade. Late Thursday night, the Senate wrapped up debate on more than 200 amendments to legislation promoting economic and workforce development and the Home Care Alliance was active on several issues. Senate Bill 2423, “An Act relative to job creation, workforce development and infrastructure investment,” created a a special commission to investigate and report on barriers to meeting labor market demands in the commonwealth. The commission’s report can include a broad range of industries, but according to the legislation, it must consist of cyber-security, high technology and biotechnology, early education and care, home care and home health. Despite this focus, the “labor commission,” as it was labeled, did not have a member that represented the home care industry. Working together with the Home Care Aide Council, and Senator Patricia D. Jehlen’s office, an amendment was adopted to get a home care agency representative on that commission. If the Senate’s legislation advances and is passed, this commission will be shining a light on home care workforce issues on a level of importance that places it with other industries. The other amendment, which was of great concern, was an effort that would have created a publicly-available registry with the personal information of home care workers. It was the same provision that showed up in legislation and FY17 budget amendments – all of which were defeated. In this particular iteration, the result was a redrafted amendment to create a registry of home care workers that does NOT include personal information, but rather certifications and whether that worker has ever committed abuse, mistreatment or neglect of an elderly patient or consumer. The Alliance thanks the many agencies that weighed in quickly with their state senator by phone and email on both of these matters. The Senate’s legislation now must pass a conference committee process where differences between S.2423 and the House’s version of the bill must be worked out. Further updates will be shared when they become available.